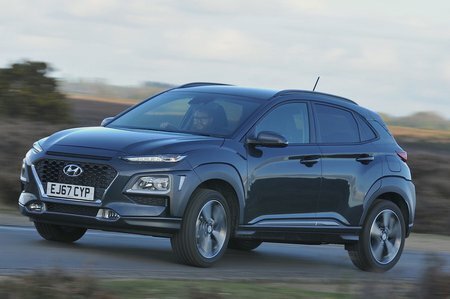 Hyundai Kona 1.6T GDi Blue Drive Premium GT 5dr 4WD DCT 2019 Review | What Car? What Car? will save you at least £1,653, but our approved dealers could save you even more. Premium GT is only available with the range-topping 1.6 petrol engine and gets a safety pack as standard that brings automatic emergency braking, a head-up display and full LED headlights with high-beam assist. It's too pricey to recommend, though.